Walsh will perform at Moncton’s Plan b Lounge tonight, while ton Saturday evening he will head to perform at Parkindale Hall. With three solo albums to his credit, Walsh and his mastery of the banjo has caused him to be a bit of a folk sensation in his native England. A past nominee for Best Musician at BBC’s Folk Music Awards, he first made his name as a part of folk duo Walsh and Pound, and also counts himself as a member of the award-winning Urban Folk Quartet. Asked what sets clawhammer banjo apart from other styles played on the instrument, Walsh explains the term has all to do with the technique in how the instrument is played. 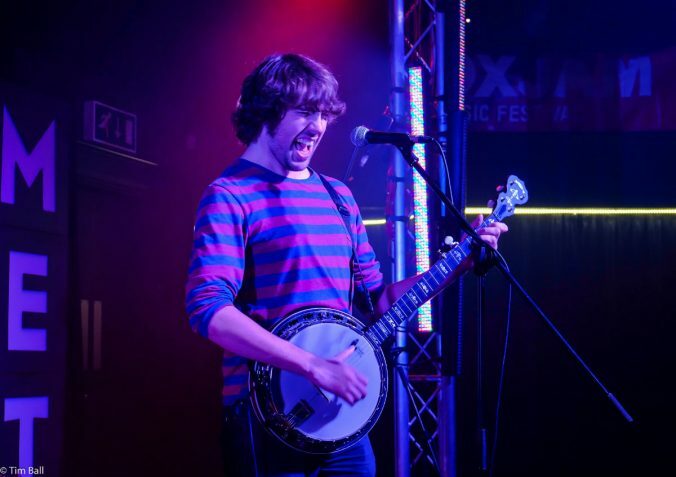 “Playing clawhammer banjo is very rhythmic and a percussive style of playing. I was instantly fascinated by how many instruments it sounded like when it was first demonstrated to me in my first lesson. It was the absolute making of me; I had been a decent guitarist for my age, but it hadn’t become my voice or a way to express myself like clawhammer banjo did,” Walsh says. Released last year, Incidents & Accidents is Walsh’s newest solo release. In terms of sound, the album is far more simplistic than its predecessor, 2012’s The Same But Different. His newest record also reflects the distinct growth that Walsh has undergone in the last few years. “I feel that I’ve grown as a songwriter. The album is reflective of the solo work I’ve been doing over the last few years. It just made sense to make a record that was reflective of my live show. With both solo shows and concerts with the Urban Folk Quartet scheduled between now and the end of the year, Walsh is looking forward to his imminent return to the Maritimes. The first time he came through in 2013, he had been invited to take part in a songwriting partnership and subsequent tour with P.E.I. country musician Meaghan Blanchard. He shares that he had such a great time that when he was asked to return to the region last year, he and Blanchard rekindled their creative partnership, undertaking a number of shows as a part of P.E.I.’s Festival of Small Halls concert series. Somewhat ironically, Blanchard is slated to perform in Walsh’s hometown of Stafford, England while he is busy playing throughout P.E.I, Nova Scotia and New Brunswick. Nonetheless, he is anticipating his return to the region.